It's official. The CNR, the most important piece of school food legislation, is now in the hands of the Republican-controlled Congress. School lunch policy ground to a halt yesterday—at least for the time being. Senate Agriculture Committee Chairman Pat Roberts (R-Kansas) issued a statement announcing that no agreement could be reached in this Congressional session on the pending Child Nutrition Reauthorization (CNR), which is now long overdue. The CNR is the every-five-year Congressional review and reauthorization of all child nutrition programs, including the school lunch program. The 2010 CNR ushered in the greatly improved school nutrition standards championed by Michelle Obama (Think: more whole grains and more fruits and vegetables). Then, just two years later, the School Nutrition Association (SNA) proposed rolling back some of those reforms. The SNA found allies in Congress among conservative House Republicans, and the debate over school food became unusually rancorous and partisan. In January, the Senate Agriculture Committee managed to hammer out a bipartisan agreement that seemed to satisfy the major stakeholders, and it looked like the school food fight was coming to an end. But the CNR bill drafted by the House Education & the Workforce Committee in April was another story. As I outlined earlier this year, the House CNR bill would have weakened nutrition standards, significantly limited the Community Eligibility Provision (which provides free meals to students in low-income areas without paperwork or stigma), and opened the junk food floodgates on school campuses by gutting the Smart Snacks rules for competitive food. 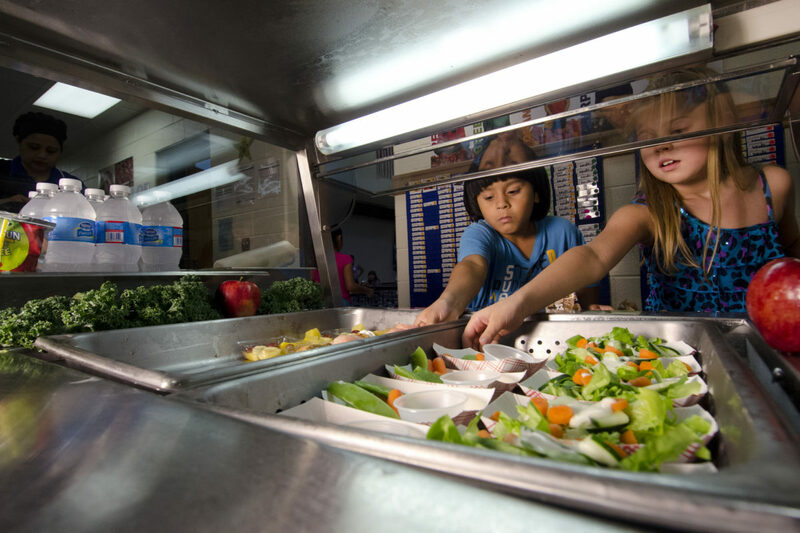 The House bill also proposed a three-state block grant pilot for school meals, an idea which was seen by some as a precursor to dismantling the entire National School Lunch Program. It remains to be seen what will happen with the CNR in the next Congressional session, but if this year’s House bill is any indication, it doesn’t look good. Two days after the presidential election, I expressed my own grave concerns over the fate of school food reform and other child nutrition programs under a Trump White House and a Republican-controlled Congress. That sentiment doesn’t bode well for our children. This post originally appeared on The Lunch Tray.